UPDATE: Looks like United has put the prices back up into their usual $650 range. There's currently an unadvertised sale from Halifax to Philadelphia on United. It looks to be affecting fares from January 2013 to as far away as September 2013. Click the little bar graph icon, and then scroll through the months to see which dates are available. The fares are about 50% lower than their usual bottom. Since it's not an advertised sale, the price can change back at any time. halifax, yhz, united states, flight deals, united, philadelphia, pennsylvania and phl. 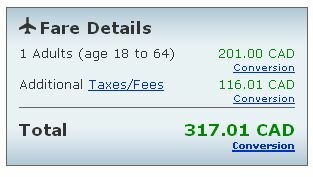 One Response to "Halifax to Philadelphia - $317 roundtrip after taxes - up to September 2013"